If you want to support butterflies you need to provide more than nectar plants, you also need to grow larval host plants. 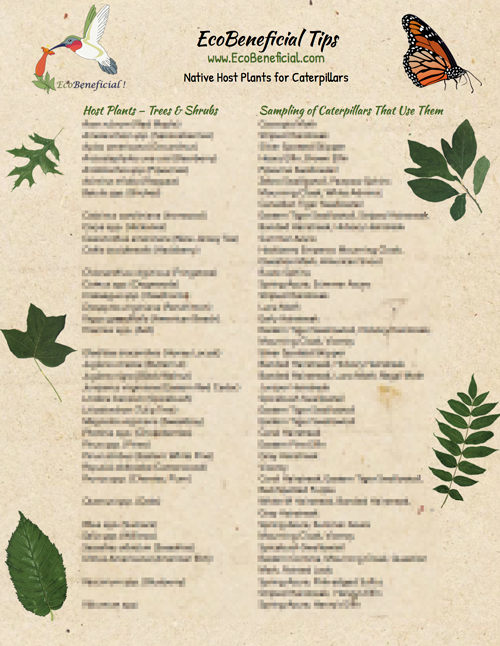 This essential tip sheet includes native perennials, grasses, sedges and woody plants that support many common butterfly caterpillars.Great for gardening clubs, beekeeping groups, Master Gardeners, community gardeners, and home gardeners alike. 8 ½” x 11” full color sheet with recommended plants on front and back.